2019 marks two significant anniversaries for the Land Rover Discovery, the do-it-all hero of the Land Rover lineup. It's 30 years since its launch in 1989 in most global markets, and 25 years since it entered the North American marketplace in 1994. To celebrate, we're going to take a two-part look back at the history of this significant Land Rover model this month. In the early 1980s, Land Rover found itself with two related, but separate, model lines: the utilitarian Land-Rover 90 and 110 (which would be renamed the Defender in 1990), and the Range Rover Classic, which was inching itself more and more upmarket every year. What they also had was a product gap -- right in the middle of the market, where various Japanese automakers were now slotting themselves in with reasonably-priced family 4x4s. The solution was to create a new vehicle to fill this gap. But because the British car industry in the 1980s was always operating on a shoestring, it had to be an efficient design that utilized as many existing parts as possible. The end product would be based on the chassis, drivetrain, and body shell of a Range Rover Classic -- the vehicles are very similar underneath their outer styled aluminum panels, and most replacement bodywork for the inner steel cage works on either vehicle. The lights came directly from the Freight Rover van, to help keep the parts bin simple, and like the Range Rover Classic, it used the mildly-iconic flat paddle door handles that had appeared on various British cars since the launch of the Morris Marina in 1971. Development from start to end was completed in under three years. By de-contenting the Range Rover and creating a more utilitarian interior, the Discovery would still be a well built, durable vehicle with just a bit more utility than the Range Rover, but with significantly more comfort than the traditional Land-Rover. But the interior was far from a slap-dash design. Designed by the Conran Design Group, with a focus on ergonomics and durability, as well as generally positioning the vehicle as a "lifestyle accessory." With all of the earliest models trimmed in a gloriously circa 1990 "Sonar Blue," it would win the 1989 British Design Award. This new ground-breaking vehicle was launched in October and November of 1989 in Plymouth, England, where journalists could test them in both left- and right-hand drive, with either the 200tdi diesel or a carburetted 3.5 liter Rover V8. Originally offered in a three-door version, a five-door soon followed. Electronic fuel injection on the V8 in the form of the 14CUX system used on the Range Rover would follow in 1990, and later the 3.5-liter would be replaced by the larger 3.9-liter version of the Rover V8. Discovery would become a smashing success worldwide, and this first sub-generation, often known as a 200-Series (after the 200tdi engine that powered all diesel versions; the moniker is often applied to all 1989-1993 Discoverys regardless of powerplant) or a Jay (after the codename for the vehicle, Project Jay), would prove to be a bit of a savior for Land Rover. Not only did it fill a market gap that desperately needed filling, but it also created room to shove the Range Rover even further upmarket, with features like the first off-road focused ABS system and a long-wheelbase version. 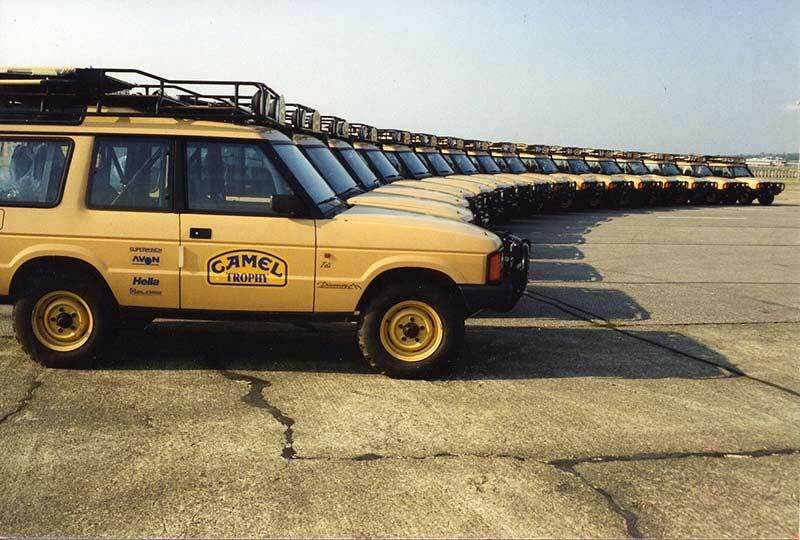 The 200-Series Discovery also featured in the Camel Trophy from 1990 to 1994; the Discovery 1 would be the featured Land Rover in every remaining Camel Trophy except the 1998 edition. The one major market Discovery still wasn't on sale in was North America. 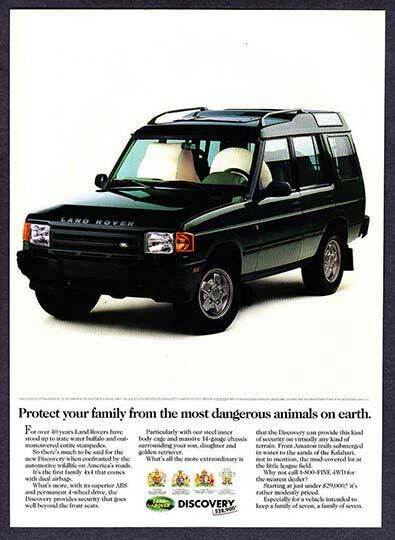 Land Rover had just returned to the USA and Canada with the Range Rover Classic in 1987, after leaving in 1974 due to a variety of issues relating to sales and the international market. 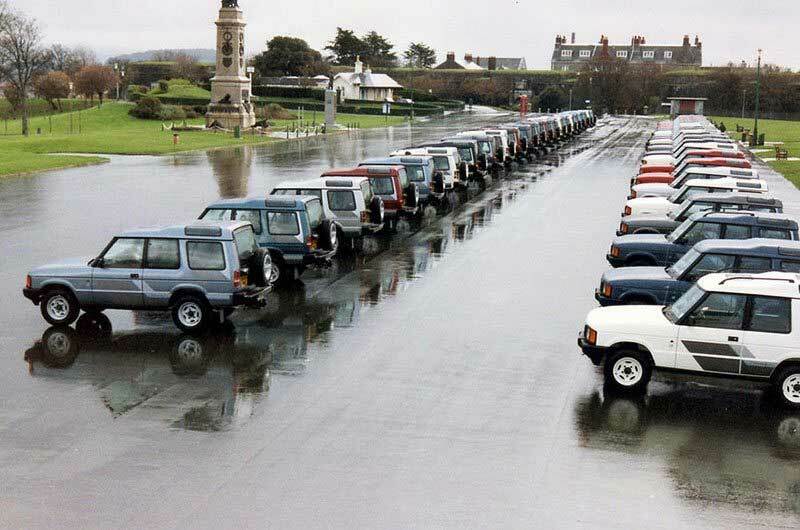 In 1993, they began working on a transition from being "Range Rover North America" to "Land Rover North America," bringing a limited number of heavily modified "North American Specification" Defender 110 Station Wagons here, before a planned full-line launch in 1994 with the Discovery 1 and Defender 90. Discovery was launched in America in March 1994, but the press had already gotten a teaser, in the way that only Land Rover could do things. In January they brought them to Guatemala and Belize to visit several Mayan sites and return fiberglass replicas of two artifacts from the Mayan temple of Caracol in Belize that are held in the University of Pennsylvania's Penn Museum. The motoring press got themselves dirty -- just like they had at prior Land Rover expedition press events like the Range Rover Great Divide Expedition -- and the footage from the expedition would create an owner off-road training video, "La Ruta Maya: Discovery Off-Road," which would come with every new Discovery that year. The first Discoverys went on sale in the United States in May 1994 -- they would not go on sale in Canada until 1995 -- and they immediately became a smash hit. At the time, they were relatively peerless in the American SUV market, with seven seats, permanent four-wheel-drive, a V8 engine, premium interior fittings (the Conran interior had been refreshed globally for 1994, but the concept remained the same), an enormous glass greenhouse, stadium seating so everyone could see out, the first dual airbags in an SUV in America...and of course that British pedigree that rubbed off the Range Rover. Pricing stretched from $29,900 to about $37,000 before you kitted the truck out with the generous selection of off-road accessories -- or "Kit" -- available right on the showroom floor. By 1998, though it had only been on sale for four years in the United States, the Discovery 1 was almost a decade old. It was time for a second generation, a project codenamed Project Tempest. 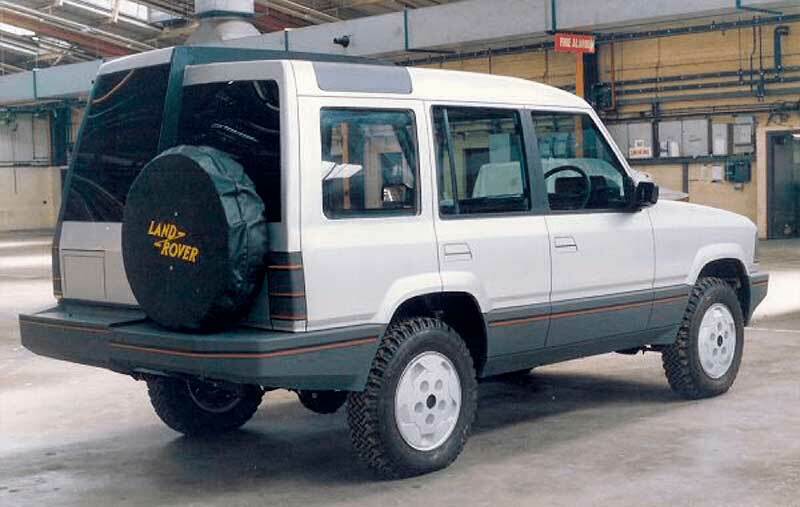 Though it would look similar to the Discovery 1, the Discovery Series II would be largely new -- the only body panel to carry over was the tailgate. With six inches of extra length in the cargo area, an upscaled (but similar) interior, new forward-facing jump seats in the rear, an optional rear air suspension and optional hydraulic Active Cornering Enhancement, and a new Traction Control system with Hill Descent Control, it was very much the same, but different. Still, the truck hearkened back to the past, with the name "Series II" referring directly to the Series II Land-Rover made from 1958 to 1971. Badges on the back of all trucks sold from 1999-2002 would replicate vintage Land Rover badges. In 1998, as the pre-production models were completed, they were sent on the ultimate shakedown trip -- an around-the-world expedition. 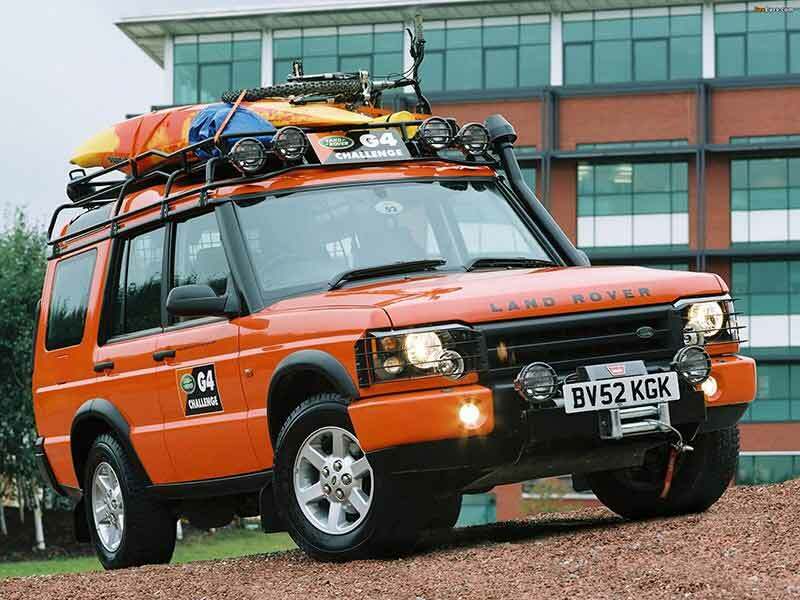 Dubbed "Tempest Trek," the expedition left Solihull in June 1998, bound to take the long way 'round to the Paris Motor Show that October. The goal was to show off the vehicle to journalists in several major markets. After crossing Europe, it was off to India via Turkey, Iran, and Pakistan. A ship from India took them to Australia, where they drove the iconic, grueling Gunbarrel Highway to Uluru before heading to Sydney. 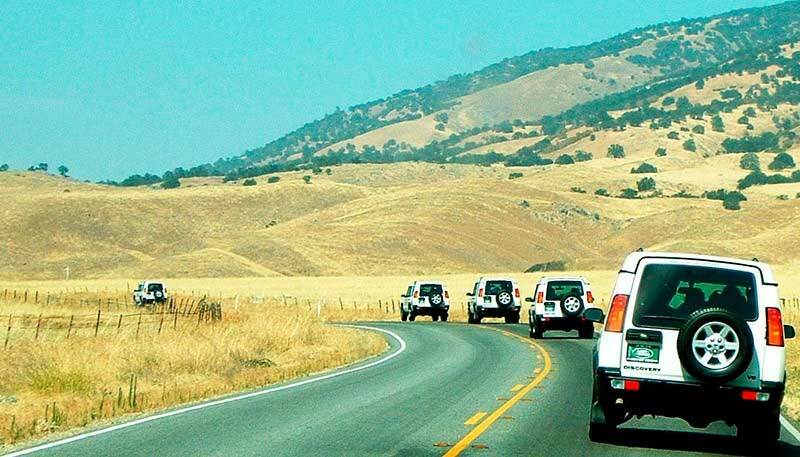 A ship to the Americas kicked off a trek across Central America and the United States, ending in New York, embarking another ship for Spain and arriving in Paris just in time for the Auto Show, a grand celebration of fifty years of Land Rover. The D2 went on sale in 1999, with an overlap that year of some runout Discovery 1 models, sold as a "Discovery SD." Discovery 2 would remain a top seller, and even as other luxury automakers released SUVs, sales held at around 20,000 per year. Sold alongside the P38 Range Rover, the two vehicles cemented Land Rover's upscale market segment. In 2003, The third-generation L322 Range Rover was released, which was the first Range Rover ever to not use the Rover V8 engine. The P38 had been sold with a 4.6-liter version of the engine, while the Discovery 2 kept the 4.0-liter. With the P38 out of the picture, the 2003 Discovery adopted the 4.6-liter engine, along with a facelifted front end to mimic the new Range Rover's nested headlights. The rear lights were also redesigned, moving the turn signals into the main clusters. The last 2004 models would feature a return of the manual Center Differential Lock (CDL), a feature from the Discovery 1 that was removed in 1999 when Traction Control was introduced in the D2. That year, the first G4 Challenge was also held, the de facto replacement for the Camel Trophy. 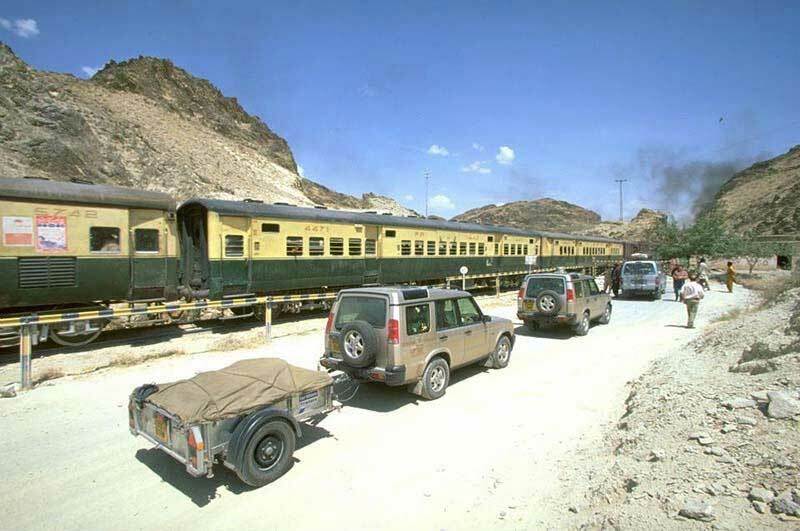 A four-legged, multi-continent competition, the trip featured all of the vehicles in the Land Rover fleet. The Discovery would feature in the desert sections contested in Moab, Utah and Nevada. A G4 Edition the next year paid tribute to the event, with trucks for sale in dealers in bright Tangiers Orange with decals and accessories to partially replicate the event trucks. By 2004, the Discovery's design had been around since the late 1980s, and though it was still selling extremely well, Land Rover was moving away from mass-producing body-on-frame trucks. Now owned by Ford Motor Company, the third generation Discovery would be a clean sheet design. 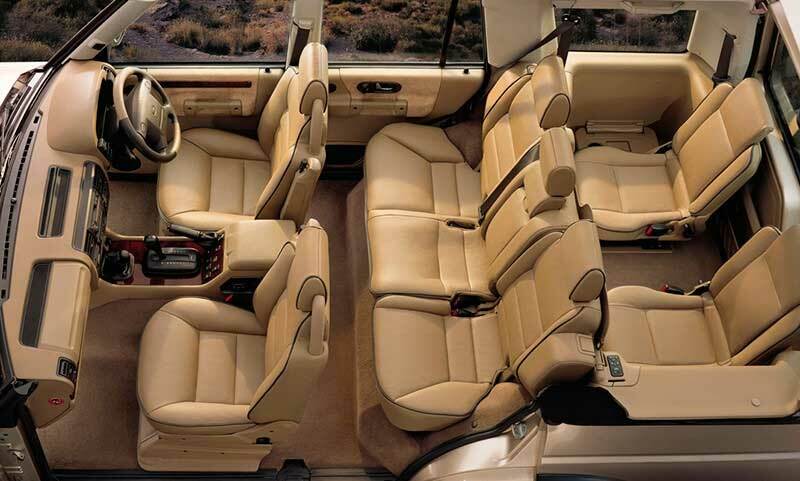 By the end of 2004, dealers were transitioning sales from Discovery 2 to the LR3, with a brief overlap. Part 2 will pick up there next Roverlog, taking us through the redevelopment of an icon, the history of the Discovery 3/LR3 and Discovery 4/LR4, and finishing with today's all-new Discovery 5.